Home > Blog > A warm welcome to our newest member – Poppy! A warm welcome to our newest member – Poppy! She was so friendly it was impossible to get a photo of her on her own, she was always surrounded by other dogs! Poppy surprised me by leaping straight into the van, and she travelled really well. Normally with a new dog I will keep them on the lead for a while (in some cases a number of walks!) but I knew with Poppy that she was going to be great – and I wasn’t disappointed. 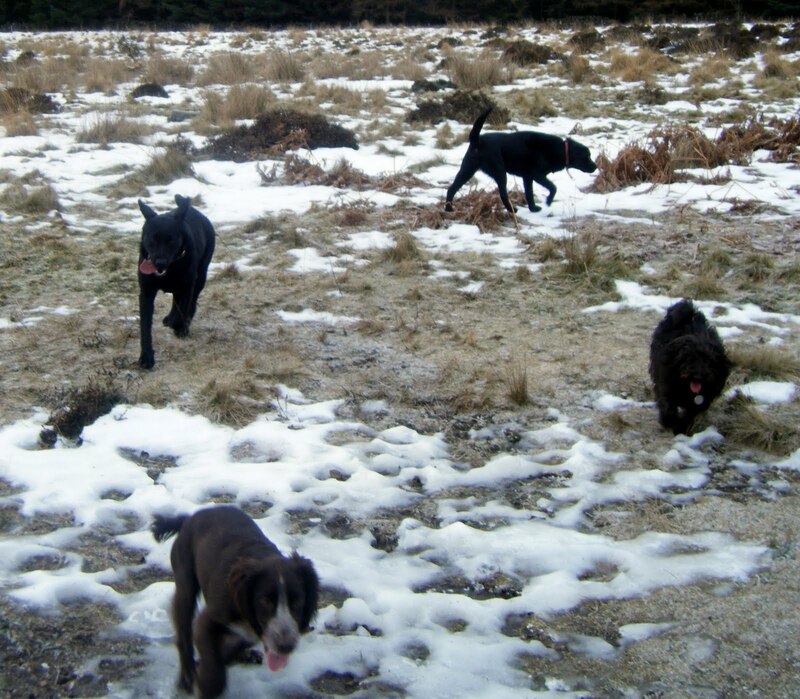 She ran, played and interacted well with all the other dogs and had a blast chasing Buddy (the brown cocker in the picture) on the moor at full pelt. The first time I called on her she instantly ran back to me – perfect! Poppy is a beautiful girl with a lovely nature and she comes from a loving and caring home – my favourite kind of dog! Welcome Poppy – you and I are going to get on just brilliantly!